Asus finally came up with an amazing smartphone in a very decent price. 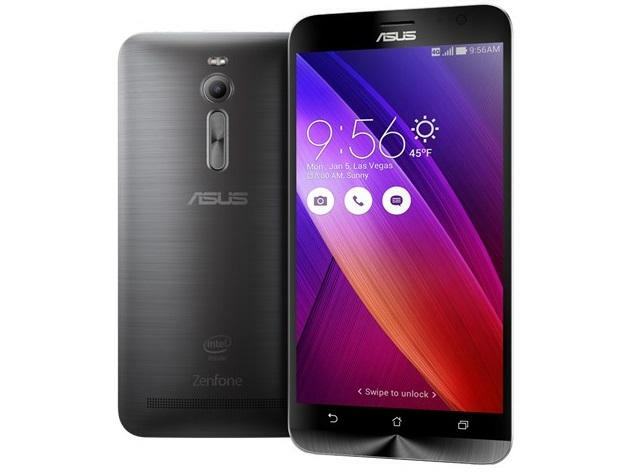 The highest end unlocked ASUS ZenFone is available for $299 and the cheaper version is available for $199 only. Asus ZenFone 2 has done a marvelous job as far as design and looks are concerned. The phone is made of plastic with glossy plastic edges that surrounds the screen. The removable back plate is quite hard and thin. Although the phone looks quite sleek but its design is quite basic. It has a unique rear-mounted volume rocker. The phone looks quite bulky even though it has a 5.5 inch screen display. It is not easy to use the phone with one hand. This dual SIM smartphone is powered by quad-core Inter processor. It offers 4GB of RAM and 64 GB of internal storage. The other cheap version comes with 2 GB of RAM and 16 GB of storage. The storage can be easily increased up to 64 GB through the micro SD card. It runs on Android 5.0 Lollipop. This phone is available in black, white, gold, red and gray colors. Unlike other highest-end smartphones, ZenFone2 does not have extremely high pixel density or wide brightness range. Even then the 1920×1080 resolution displays quite accurate colors. If you want more brightness, you can easily change the display settings to reading, vivid or custom mode. The viewing angles, touch response and display lamination are much higher than what you would expect in this price. Sometimes it gets difficult to use the phone in dark as it doesn’t get very dim even in the dark environment. The strip along the bottom of the back of the phone is actually a speaker. It can get pretty loud but it lacks good sound quality. ZenFone 2 has done a great job with its software. The lock screen and settings are quite simple. The modest interface contains whites, greys and other simple colors. The only things that are not up to the mark are ASUS keyboard and ZenUI launcher. You can always use the Google Keyboard and Google Now Launcher instead. ZenFone 2 has a huge 3000mAh battery that performs really well with 1920X1080 resolution. The phone comes with “boostMaster” technology which helps with charging the phone quickly. In just forty minutes, the phone can be charged to 60 percent. You can use the phone for the whole day and even then you would have a little battery left at the end of the day. The 13 MP rear camera is pretty standard. By just one tap you can choose from 17 different shooting modes. Although the specs of the camera aren’t fancy but you would be surprised to see the amazing picture quality. Low light photography isn’t quite impressive but you can get great shots if you keep your hands steady. If you are looking for a good phone in affordable price, then this phone is the right choice for you. It is not as good as Samsung, LG, HTC or Motorola, but it is quite good considering that you would be saving $300 or even more. Really enjoyed the post. Going to share it with my social network. Thanks. Thanks for sharing your thoughts about ASUS ZenFone. Hurrah, that’s what I was seeking for, what an information! Thanks. Nice post. Enjoyed reading it. Asus Zenfone is really too kool smartphone. Thank you for providing an article about it.